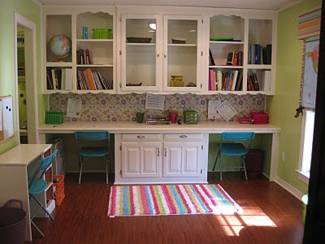 Kayce's homeschool room contains a fabulous built-in wall unit that contains cabinets, shelving and two desks. 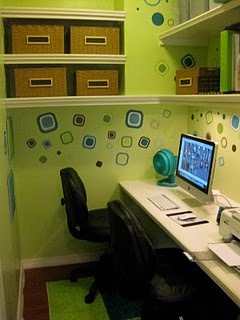 She also converted a walk-in closet in her schoolroom into a computer closet. 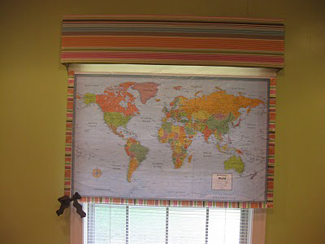 She even optimized her wall space by turning attaching a map to her window shade. Very cute! You can learn more about the remodel and get some great ideas by visiting Kayce's blog.